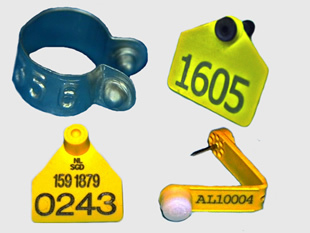 Security seals & labels for finance-, transport-, medical-, and safety industries. A complete range of eartags for all kind of animals, wing- and leg-tags for poultry, short and long term ID-solutions to support the animal and meat trade. METAGAM was founded in 1953, manufacturing metal identification seals for transport applications. The best known product from these early days was the "scelle wagon". Over time, the product range was diversified with aluminum animal identification products for poultry, followed by brass eartags for livestock identification. 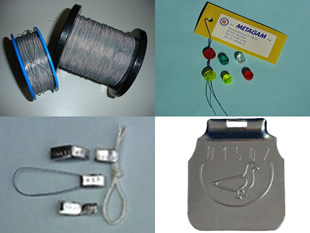 METAGAM started the production of plastic eartags and seals in 1976, and continues to broaden these product families, in close relation with his customers. Product development is done in close relation with our customers, exploiting our 50 years of experience in combination with modern CAD tools. Process development is already involved during the early product design, using modern project management tools (PACE) like Product- and Process FMEA to guarantee a successful production process. METAGAM is proud to develop and construct his own tools and dies for the complete product range, guaranteeing the shortest possible lead-time at minimal cost, achieving the highest quality standards. Therefore, we own a complete equipped tool room with grinding machines , milling centers (Deckel & Arno), lath (Colchester) and E.D.M. (AGIE). Offering worldwide the best ID-solution at the most competitive price.